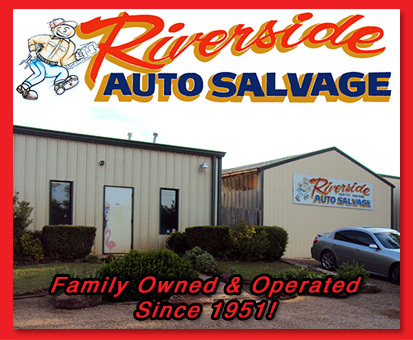 Riverside Auto and Truck Salvage has been a family owned and operated salvage yard since 1951. We have set a high standard of managing our company with strong morals and values and that plays a big part into why our customers have put their trust in us for 67 years. Here at Riverside we strive to treat the customer the way we would want to be treated. Our success is based on customer service! We understand the challenges that customers face trying to find a quality used part and a mechanic to install these parts. That is why we also operate a full service installation garage located at the salvage yard. Our number one goal is to satisfy our customers’ used parts needs by finding them “the right part at the right price”. Call, fax or email our parts sales office today and let us show you how we have been serving the metro area for 67 years.